Harvest Park has a “hands-on” activity based approach to teaching Science. 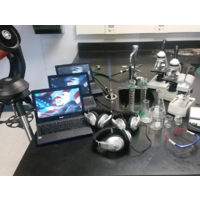 This approach involves the use of many lab supplies and class materials, equipment as well as access to many websites and online applications that may also incur costs. To help defray these expenses the Science department is asking that, if possible, each family make a donation. We appreciate any support you can give. Thank you for your understanding and support. With today’s funding of education, it is you that will make the difference in the diversity of your child’s science education.